As its common name suggests, this member of the family Ericaceae occurs locally on heaths in Dorset, but it can also be found in a few other places in South West England and in Western Ireland. The plant forms clumps on damp, acid soils and the flowers are elongated and rather egg-shaped. 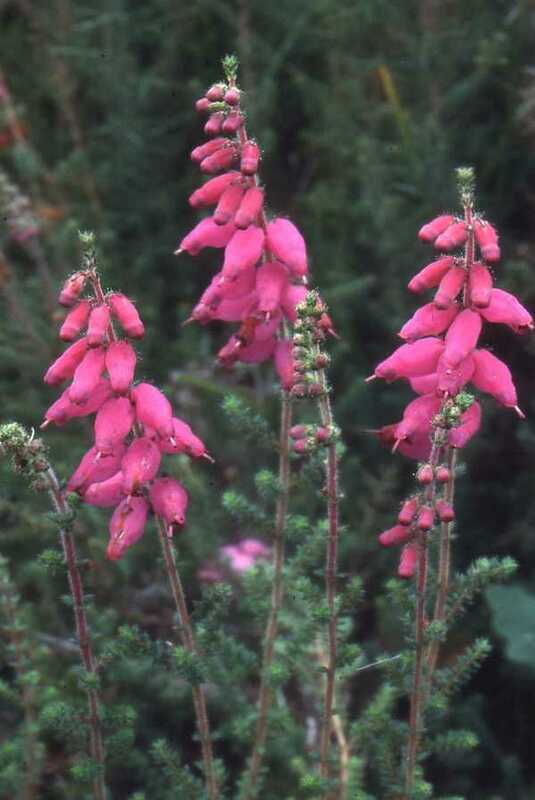 It very readily hybridises with Cross-leaved Heath, Erica tetralix and the resulting offspring have the flowers of Dorset Heath and the leaves of Cross-leaved Heath. Dorset Heath has been recorded from 1768, and the first record in Dorset was made in 1848. The plant grows to around 50cm in height and flowers from July to September.